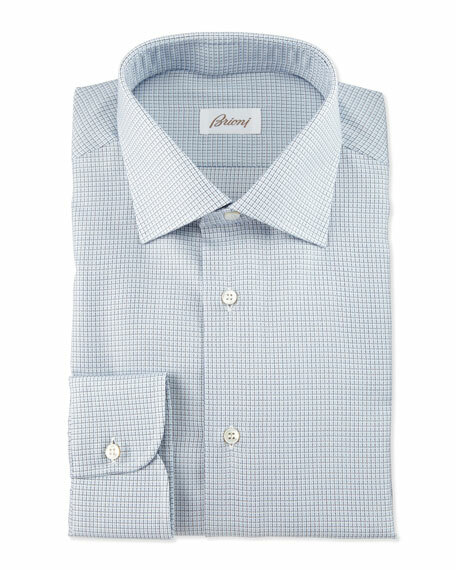 Brioni dress shirt in textured check. For in-store inquiries, use sku #1823988. 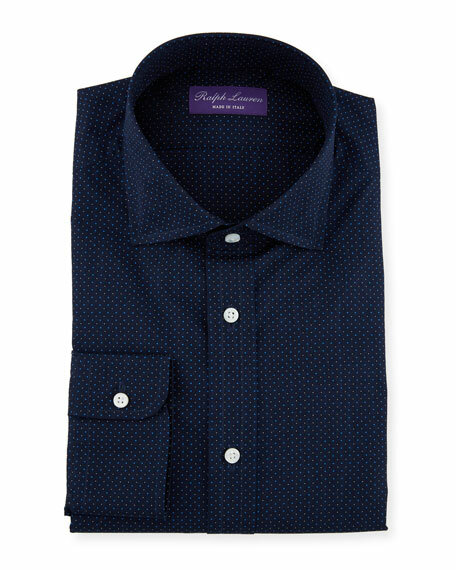 Fore pin-dot pattern shirt. Spread collar; button front. Long sleeves; barrel cuffs. Patch pocket at left chest. Shirttail hem. Polyester/cotton. Imported. Exclusively ours. 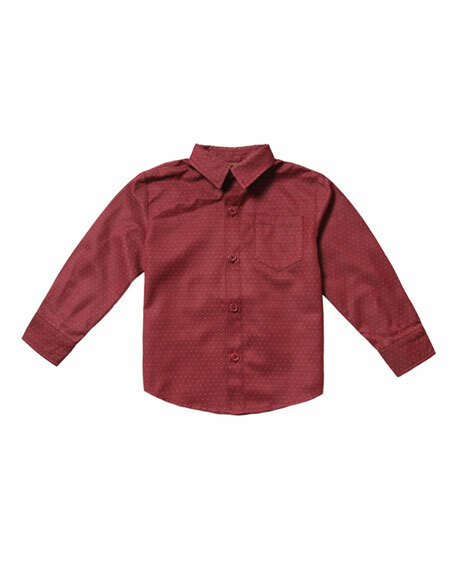 Kiton dress shirt in check design. Spread collar; button front. Long sleeves. Mitered cuffs. Shirttail hem. Cotton. Dry clean. Made in Italy. 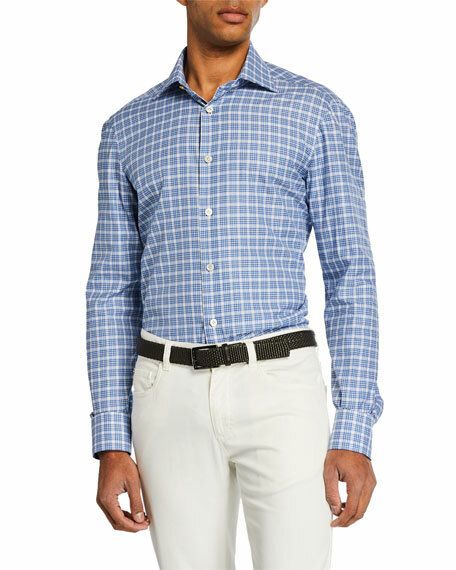 Ralph Lauren Aston dress shirt in plainweave dot detail. Spread collar; button front. Long sleeves. Barrel cuffs. Shirttail hem. Cotton Supima. Made in Italy. 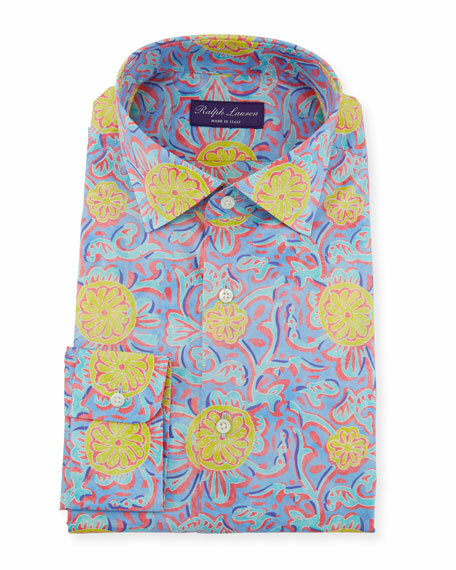 Ralph Lauren "Aston" dress shirt in choppa print detail. Spread collar; button front. Long sleeves. Barrel cuffs. Shirttail hem. 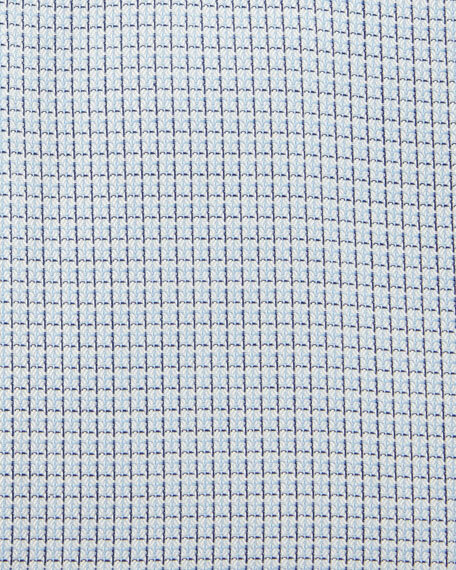 Cotton plain weave. Made in Italy.